You might be crunching a piece or hard candy, hard-crusted bread, or ice when you feel something strange and notice something hard in your mouth that doesn’t dissolve and can’t be chewed. You begin to get a bit worried as you realise what it is – a filling that has partially cracked or completely fallen out of a tooth. If you discover you have a broken or chipped filling, don’t worry. Your A Plus Dental dentist can repair your filling quickly and conveniently. Natural wear and tear. Although made durable, dental restorations don’t last for a lifetime. The pressure they receive from everyday usage in chewing, biting and other similar functions of the teeth can wear them away over time. Improper usage/abuse. Dental restorations have limitations. Their strength is still not the same as your natural tooth. Using them for other functions like biting or chewing hard on sharp materials, opening packages, and tearing tapes, exposes them to risks and damage. Poor dental care. The most common reason for getting dental restorations is tooth decay. Upon their placement, your teeth are thoroughly cleaned, and all decayed parts are removed. However constant abuse, even after the installation of restorations, allows the bacteria to grow and develop secondary cavities in your mouth. As the decay grows, the tooth weakens until it can no longer support the dental restoration, hence the damage. Poor dental work. Choosing the right dentist to place your dental restoration is crucial in the whole process. At A Plus Dental, we are trained and experienced in this matter. Dental restorations are easy and of premium quality at A Plus Dental. Is My Lost Filling An Emergency? Dental fillings are a common dental restoration used to treat cavities and decay. A large majority of Australians have at least one. And while dental fillings are sturdy and can last for decades, some things can still cause them to loosen or fall out. A lost or damaged filling is rarely a dental emergency in that it does not require immediate treatment. However, lost fillings can be as painful as exposed tooth tissue is often sensitive to temperature, pressure, and even air. But even if a cracked or lost filling isn’t an emergency, don’t wait too long to get it attended to. The tooth without the filling is nowhere near as strong as the tooth is with the filling in place. Don’t wait, call us! Before you do anything else, you should call your dentist in Campbelltown. In many cases, we can see you the same day or schedule you the next day. At the appointment, we perform a thorough exam of the area to assess the damage and determine the best way to fix it. While waiting for your appointment, there are several things you can do to help with the discomfort or unease that can come with losing a filling. First, avoid chewing in the area of the mouth with the missing or damaged filling. This can keep sensitivity to a minimum and keep food and bacteria out of the hole. After eating, rinse your mouth with lukewarm salt water and gently brush the area. If you are experiencing pain or sensitivity, take an over-the-counter pain reliever. You can also fill the hole with a temporary filling compound available at many drug stores. But temporary filling material is only that – temporary. Keeping your appointment with your Campbelltown dentist is still very important. Be careful of what you eat. Sticky and hard and sticky foods can cause damaged or lost fillings. Use caution when eating these foods. Treat tooth grinding. Grinding can cause damage to fillings, even causing them to be lost. If you grind your teeth, it’s essential that it be treated correctly and as soon as possible. Never, ever, chew on hard objects. Don’t put pencils, pens, or other items in your mouth and chew on them, similarly, don’t use your teeth as tools to open bottles or plastic containers – this is a great way to damage teeth and lose fillings. Make sure to use nightguard if you are a tooth grinder. This protects your dental restorations as well as your jaw health. Finally, visit A Plus Dental every six months to give us a chance to spot any loose or damaged fillings before they surprise you! If you’ve lost or damaged a filling, don’t wait to call your dental office in Campbelltown. We’ll work with you to determine the best treatment option for you. 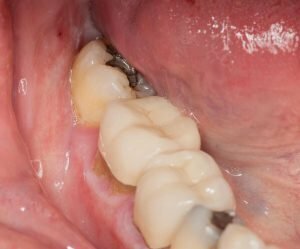 Treatment depends on the location of the filling and how badly damaged it is. Often, the filling can be replaced with another filling. However, if the filling was particularly large, a crown may be a better choice. One great option at A Plus Dental is to take a damaged or lost filling as an opportunity to upgrade to white (composite) fillings. Composite resins can be used to repair cavities and restore or correct the shape and colour of a tooth in only one appointment. Appearance– Composite fillings can be finished to look just like your natural teeth. Versatility– Composite resin can be used to repair teeth that are chipped, broken, or severely worn. Stability– Composites require that less natural tooth structure be removed. Metal Free– White fillings contain no metal, particularly mercury. Protection– White fillings are not affected by temperature changes in the mouth. 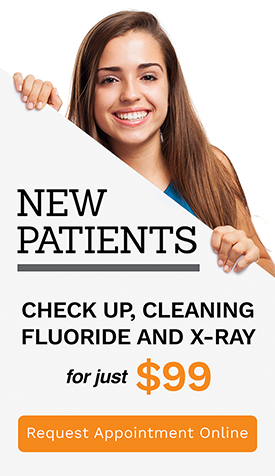 It Adds Up at A Plus Dental! A Plus Dental believes in honesty, trust, compassion, individuality, and comfort. We provide our Campbelltown area patients, of all ages, caring, relaxing treatments in a comfortable environment. When you choose us, you take a giant step towards a beautiful, healthy smile with maximised oral health! We have over three decades of combined experience and treat each of our patients with the utmost care and respect. Call us at (02) 4627 3833 or book your appointment online today. We are located at Suite 3/300 Queen Street in Campbelltown.